Former Pink Floyd member responds to Nick Cave, who ignored boycott calls and played in Tel Aviv. Waters’ comments, quoted by the JTA news agency on Tuesday, came after Australian rock star Nick Cave spoke out against the Boycott, Divestment and Sanctions movement (BDS). Cave played in Tel Aviv this week, despite calls for him to boycott Israel, and said that the BDS movement was the impetus for him coming to Israel. 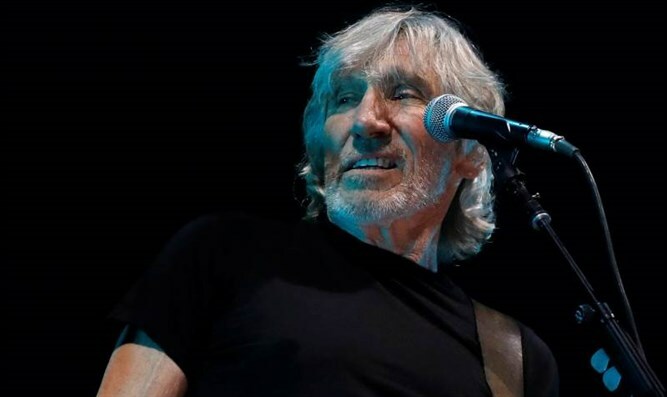 Waters has verbally attacked many artists who chose to perform in Israel over the last several years. British musician Brian Eno, who also is a BDS supporter and who last year ordered an Israeli dance company to stop using his music, commented on the issue as well. “I admire Nick Cave as an artist and I know he has been generous in his support for Palestinian humanitarian causes. I think he has every right to come to his own conclusions about whether or not he supports BDS. However, I think I also have the right to present him with another side to this argument,” Eno wrote.